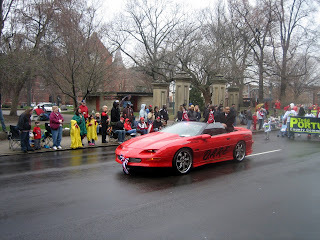 Here are a few pictures from the Opening Day parade on Monday. I thought I was going to get drenched, but the rain held off. 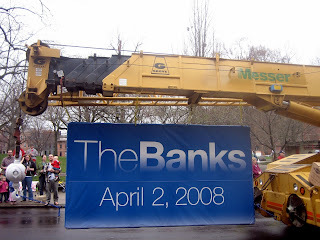 I couldn't stay for the whole thing, and only caught the first hour's worth before returning to work. They said that this was the largest field ever, with over 200 groups in the parade. 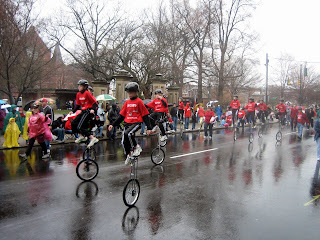 You can see all my parade pictures here. 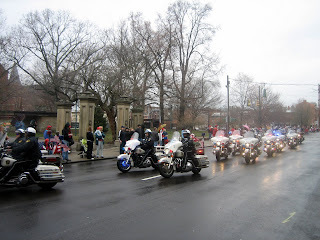 The parade started off with a police motorcycle formation. Bright and shiny! 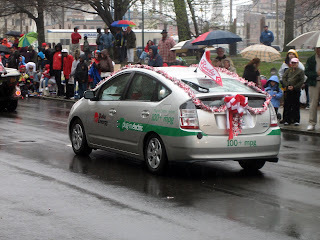 The mayor rode with his assistant in the D.A.R.E car. 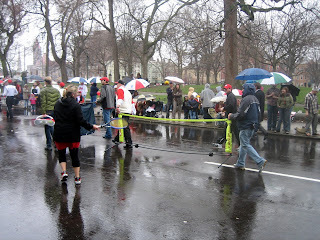 I saw Pepper and Portune, and most of city council. One of the nicest things to see in the parade. This plug-in, 100 mpg, electric car caught me eye. If I haven't said so before, my belief is that the electric car can remove our country's dependency on foreign oil. They get 100 mpg, they're proven, and they've been around for 100 years. You park 'em in your driveway and plug 'em in overnight. But why doesn't anyone have one? Technology? Please. I believe that the oil and car industry will not let them come to market. This woman had a cooler scooter. 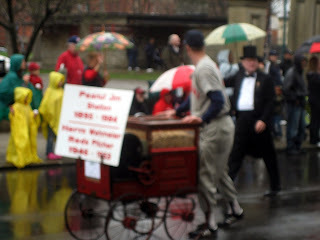 My shot of Peanut Jim Tarbell didn't turn out so well. 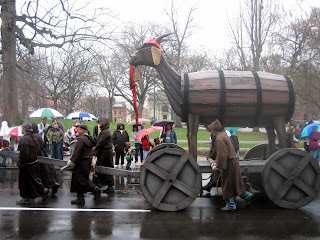 The Bockfest goat always entertains. This T.A.N.K. 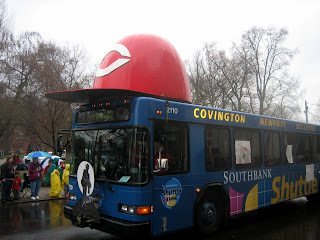 bus is a Reds fan! 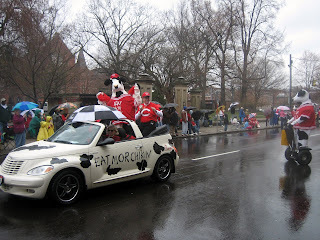 The Chick-Fil-A cow, exhorting me to eat more chicken. 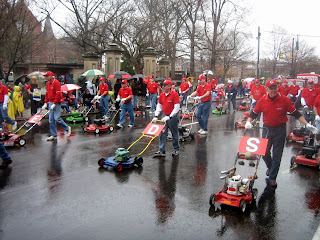 Some sort of lawnmower formation. That is the coolest scooter I have ever seen. Ever. @dan, thanks for the compliment, though all I did was stand there and take pictures of everything that passed by. @gina, i thought so too. but i suspect the motor is in the cooler, so i don't know where you'd put the beer? Hmm. Good point. 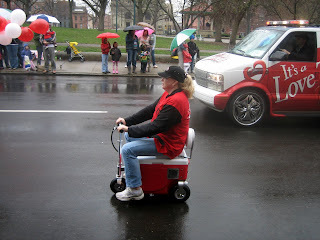 Maybe I could get a sidecar and put a keg in it. Having a keg as a sidekick would be money.